For three quarters of a century, Idesco has provided customized ID card solutions to companies just like yours. When you partner with Idesco, you get the top ID card solutions from all major manufacturers, including HID Fargo, Magicard, Zebra, Datacard, Evolis, IDP, Matica, Nisca and ScreenCheck. 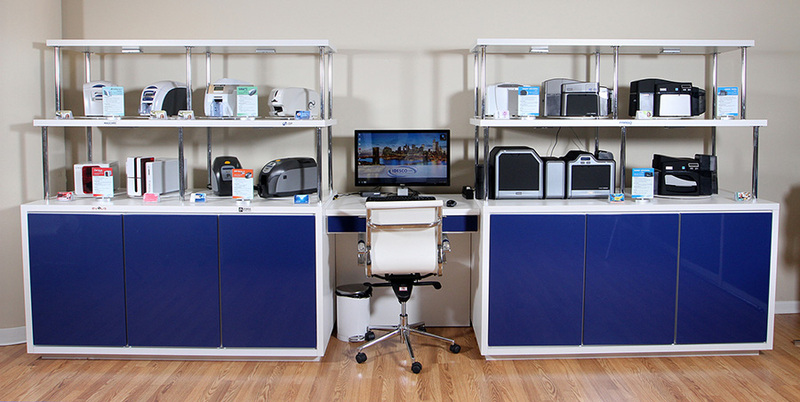 More importantly, we offer you a one-stop solution: printers, cards, software, supplies and service. We understand how important it is to keep your card solutions up and running. Idesco has an expert team of technicians who can be on-site anywhere in New York to service your printer within 48 hours. Not in New York? No problem! We offer phone support and remote sessions to have you back up and running in record time. Idesco has been in business for 75 years and leads the nation in providing solutions for any project, even the most complex ones. Idesco offers you a team of ID card solutions experts who have been in this industry for 15+ years. Besides traditional ID card printers, Idesco is the leading reseller of oversized printers for event badging and technology cards such as HID, Proximity, iClass, RFID, UHF and more. When you want a top quality solution at the best price — guaranteed — you need Idesco. Our goal is not only to keep your people safe, but to help organizations of any size and industry identify their employees, guests, and assets in the most professional way. Call us today at 800-336-1383 to find the right ID card solution for you. It all started in 1943 when Hyman Schonzeit founded Identification Service Corp. in the heart of New York City as a manufacturer of laminated credentials and safety tags. With its own design staff, printing presses and lamination equipment, Hyman quickly grew the business by winning large corporate and governmental contracts that included providing the War Department with ID cards. The system involved taking a person’s photo, developing Kodak film, cutting the picture out, and laminating it to a card-sized piece of paper. This manual method of ID card manufacturing was the standard in the industry until the late 1980s, when the first card printers and digital identification systems were introduced into the marketplace. Idesco extensively tested numerous manufacturers’ systems and aligned with those that delivered the most solid platforms. With the advent of the PVC card and their associated printers, Idesco moved quickly to upgrade its offerings. This early adoption of new and better technology enabled Idesco to not merely maintain its market presence, but to expand upon it. The Schonzeit family business continued to evolve when Hyman passed down the business to his son, Jack Schonzeit in 1975. Identification Service Corp. grew into Idesco Corp. and Jack continued to build upon the momentum that his father Hyman created. The company was known to provide quality products and services in the ID market, and Jack continued to deliver and exceed his customers’ expectations. Keeping true to the motto “All In The Family” Jack brought his son, Andrew Schonzeit into the family business and in 1980 offered him a variety of jobs in the company while he was attending college at NYU. In 1984, Andrew became president of Idesco after the untimely passing of his father. Under his supervision, the company emerged as not only an ID badging company; but a premier security systems integrator. Andrew is a game changer; a true visionary who saw the security industry evolving and jumped on board without looking back. 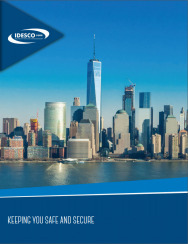 As the security industry started changing to open platforms and IP solutions, Idesco was ready to take the business yet again to the next level. Under Andrew’s direction, Idesco successfully added security products and services to their repertoire and quickly became an industry leader in digital ID badging systems and visitor management.